Do you dream of a life less ordinary? That’s exactly what home buyer’s want when they search the internet for their next house or investment property. And you can fulfill that desire by staging your house to exemplify that idyllic environment. Las Vegas Design is all about lifestyle. People move to Las Vegas to experience the amazing weather, world class gourmet cuisines, unparalleled entertainment, designer clothing shops, and unlimited selection of sports, Your home should reflect all that Las Vegas is, and offers. To attract top dollar and sell faster, real estate sales statistics from the National Real Estate Association, prove that Staging your home greatly affects that outcome. 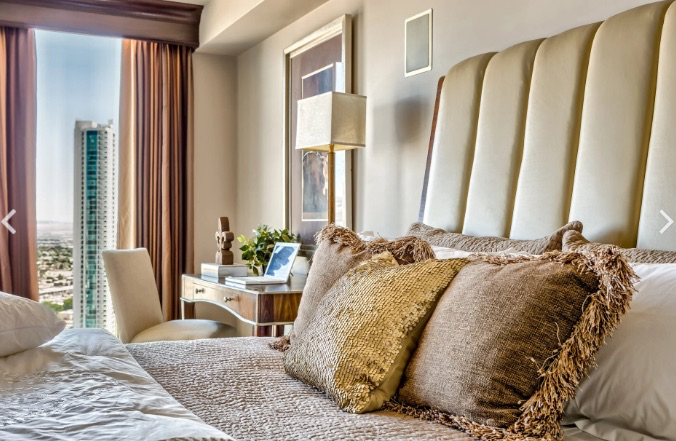 Las Vegas House Staging understands Luxury Homes and the Buyer’s who desire them. Over the past 12 years we have partnered with some of the most successful multi-million dollar agents in Las Vegas. Our extensive portfolio of staging includes many custom homes in communities like The Ridges. Red Rock Country Club, Queensridge, Tournament Hills, Southern Highlands, Anthem Country Club, Spanish Trail, Rancho Estates, MacDonald Ranch, Seven Hills, Roma Hills, Canyon Gate and The Lakes. We have also designed staged homes and models for many Las Vegas home builders such as Storybook Homes, Pardee and KB Home. No other House Staging company in Las Vegas boasts as complete a portfolio of luxury staged homes. Whether you’re an agent, builder, flipper or homeowner and you’re looking for an experienced company to stage the best homes in Las Vegas, look no further than the design consultants of Las Vegas House Staging, where we truly understand the Art of Living Well!